DJ Jon 1st's star is in the ascendence. 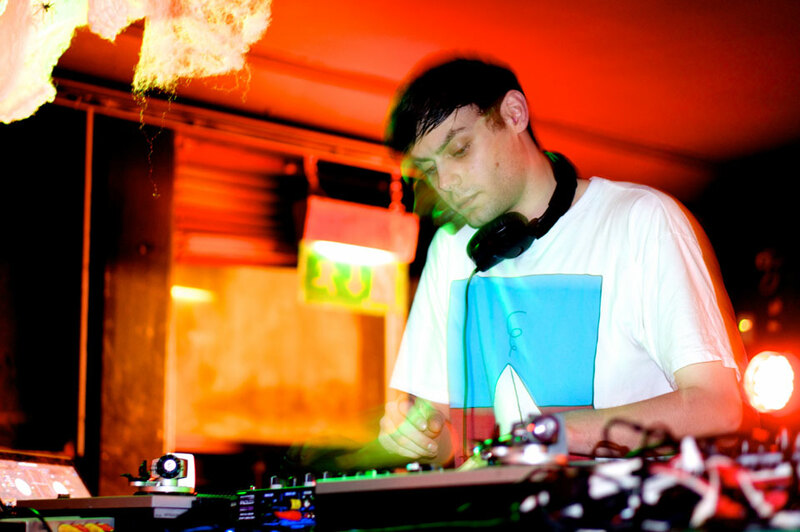 The 2013 DMC World Online champion is gaining more and more recognition as one of the rising stars of the DJ scene - evidenced by a packed gig-schedule, a residency at London’s Soundcrash and an invitation to record a set for the excellent Ninja Tune Solid Steel mix series. Featured in our recent multimedia feature Scratch Obsession (he was the guy we filmed sat with his laptop who gamely tried not to make eye contact with the odd local drinker who was staring at him! ), he allies his freakish turntablism skills with an understanding of the flow of a DJ set. In other words, he knows when to use his scratching and when not to and most importantly displays excellent taste in music, from the latest dub, footwork, dubstep, hip hop and more. In the below exclusive interview we get a taster of the life of a scratch DJ - how his life changed after the DMC win in 2013, how long it takes him to prepare routines, his pre-set warm-up, and his views on the age-old question - should a DJ share his set list? How did life change after winning the 2013 World Online DMC Championship? Did it bring opportunities? The reaction to the set propelled my career definitely. It brought me to the attention of a lot more people and has helped me continue what I was doing before uploading the video more often and on a bigger platform. I've since recorded guest mixes for Ninja Tune's Solid Steel podcast, Foreign Beggars, Vice's Noisey website, Resonance FM London, Inflect in Bristol, NTS London, PULS in Germany, Rider Radio in France and Fly High Society ; played festivals and shows in Serbia, France, Portugal and around the UK and Ireland; and I've also become a resident DJ for Soundcrash in London - all of which I think the DMC title has helped me achieve. How long did it take to prepare that set? I built and practiced the set for competition in roughly three months but I'd been building up a lot of the techniques I used for a few months prior to that. I wrote it fairly quickly but developing the muscle memory to perform it took me quite a long time as I was performing a lot of patterns and fills that were new to me. What was your experience of last year’s DMC? I'm afraid I didn't compete in any battles in 2014. Battling, and turntablism to a certain extent, has always been something I've been passionate about and has acted as a platform to showcase the more showmanship side of my club sets, but I've always been interested in all sides of DJing - discovering new music, club DJing, making mixes for headphone listening, producing and scratching/juggling/performing - and I like the freedom of working on all those things on my own terms. I like creating routines and then sharing them with others in my sets or online through videos, rather than hoarding all my new routines for months and practicing them for hours on end for battles. Turntablism is a style I love but it's just one part of many things I love about DJing that I'm equally as obsessed with. My goal with battling was always to win one national title, but there's so many areas of DJing that I'm interested in that I want to focus on too. I'm always going to build and compose new routines regardless of not battling though. I'm also enjoying being really busy with DJing now and am putting in as much energy as possible into that side of things. Any pre-gig or pre-comp rituals that you do? For shows I like to get a feel for the audience, but for competitions I usually keep to myself so I don't worry about what anyone else is doing and not let their performances affect my own. Other than that, wrestle wild bears. Do you try to warm up before regular club gigs? Or can you jump straight in? Not necessarily from a technical perspective, but I like being in the booth and getting a feel for the audience's reaction to others DJs/performers before playing a set so I can get an insight into how to approach playing. I'll still play only music I like but I'll cater the feel of the set towards the energy of the audience: if I can tell they're up for a more intense set I'll adjust to that or if I can tell that they're craving something more laid back I'll begin my set accordingly. What type of music does a typical DJ set consist of? Any particular artists you find yourself playing a lot at the moment? I play a lot of music inspired by 'beats', footwork, UK soundsystem music like dub, reggae, dancehall, jungle etc and occasionally hip hop and incorporate my turntablist background sparingly throughout my set, mixing in my routines if I think they'll work in the set (much like knowing when a song would work at the moment with the audience). Some of my favourites at the moment include Om Unit and all the Cosmic Bridge camp, Mark Pritchard, LV, Tehbis, Fracture, Sam Binga and Stray. As a scratch DJ how difficult is it to strike a balance between the scratching and the music? In terms of leaving space between solos in a club set I think it's important to think of your sets as songs - you wouldn't necessarily want to hear a guitarist solo throughout a 60 minute set (though there is a time and place for that for both guitars and scratching), so knowing when and where to place scratching in a set is definitely something to practice, but it depends on the DJ's style and how they perform. Where do you see turntablism going? I see it continuing to evolve. The level of freestyle scratching is at an all time high in my opinion with DJs like IQ, Chinmachine, Chile, the Community Skratch Games crew, the Scratch Science crew, the Super Scratch Sunday Crew and many others (there's far too many to mention and I know I'm going to miss tonnes out) pushing freestyling to new levels. The level of battle DJs at the top level of battling is continued to be pushed too. It'd be really good to see more community based events like The Community Skratch Games, Super Scratch Sunday and Battle Avenue to start happening, to provide local platforms for turntablists to perform, jam and share ideas. I'm personally interested in exploring the possibilities of developing turntablism as a performance medium outside of battling and 100% scratch music. There's so many possibilities to touch on that haven't been explored yet, which is what excites me most about turntablism at the moment. You are probably among the first generation who grew up with Digital controllers for DJing. Do you think this has affected the way you look at DJing compared to someone who grew up with just vinyl/CDs? I actually started DJing before DVS became popularized, so had a few years of mixing and scratching just with vinyl. Final Scratch was available but it wasn't for a few years into my Djing that Serato Scratch Live appeared on the market, so I had a few years of using traditional vinyl. I've always been really open to technology and new ways of manipulating music to improve a set and loved the idea of instantly being able to have doubles of any digital file I owned, so I welcomed in Scratch Live as soon as I could afford to make the move. I think there was definitely an initial backlash against it in some hip hop DJing circles (and unfortunately there's still a minority who hate on non-vinyl DJing mediums, which is a shame), people definitely reacted to it in different ways. I personally prefer using DVS to vinyl for features like cue points and looping, the ability to play dubs without pressing them to vinyl, having instant doubles and perfect copies of every record in your collection and not having to carry around bags of records - my back and posture are bad enough as it is! Do you prefer using controller vinyl with a laptop or regular vinyl? I much prefer DJing and scratching with DVS now, I've just become used to it and consider features like cue points and loops essential when I DJ now, I'd never swap back. I still buy and collect records though for listening purposes and for the desire of building a physical collection of music. Is there a piece of DJing equipment you’d like to see invented in the future? At the moment I'm really happy with the Rane 62, it's definitely the best all round mixer I've ever owned. I'd like to see an updated version of the mixer in a few years but for the moment I'm very happy with it as is. I'd like to see the Vestax Controller One have a large repress so they were more available too. In terms of possible future technology, how do you feel about the idea of the audience having a say in tune selection via their smartphones? It depends on the situation. If it's a run of the mill mainstream club where the audience aren't particularly interested in how music is played and would rather just hear songs they know and like, then I think it's a good idea as it's that DJ's job to attend to that audience. If the DJ had a screen with a list of requests submitted in that manner, maybe with a tally for popular requests, it'd potentially make their jobs easier. If it's a show where the audience are going to see a particular DJ play then I don't think it's a good idea and potentially disrespectful. That DJ is being booked because of their years developing their craft and for their selection and how they perform and the audience should respect that. Why would you pay to go to see someone play if you want to then ask them to play what you want to hear, go to somewhere that plays that style of music instead. Apologies if that comes across as pretentious, it's just how I feel about it. As a fan I'd rather hear what the DJ wants to play, then a watered down version. Should DJs be happy to reveal playlists or is it legitimate for a DJ to keep some records secret in order to be different and maintain healthy competition (in the same way the founding hip hop DJs used to)? I understand both sides of this argument. I personally share all my tracklists when I record guest mixes for radio/websites as I like sharing new music with people and want more people to hear the music I like. Of course someone is going to copy parts of that playlist for their own set or in extreme circumstances, a DJ's whole style, but the former means that more people will be hearing the music from the original DJ's set, which is a good thing, and the latter will stand out as a copy cat. What does the future hold for Jon 1st? I'm DJing out and about the UK (and occasionally around Europe when people are very nice and book me!) every week at the moment, so expect lots more club shows from me! You can expect more videos, guest mixes and hopefully a few production based projects in 2015 too. Think of your set as a song. Write down what you want to achieve with the song and think about how the listener is going to hear and see that. Choose songs that represent you and your tastes, don't be afraid to not follow current or past trends. Share your developments with someone whose opinion you trust, they'll help you stay sane throughout the hours of listening to the same 8 bars over and over. Know your history, it'll inspire you endlessly. Have fun - it'll come across when you perform.